“I want to build wealth,” this is part and parcel of every individual’s life. Everyone wants to save money for a luxurious life. Our seniors always thought that through hard work and exploitation of right opportunities we can live an affluent and prosperous life. But your motive to build wealth should not just be focused on saving money but it should be focused on a dream of a peaceful and wealthy retirement period. The money you are earning currently is not sufficient for a better life post-retirement because of the rising inflation rate and medical costs. There’s a strong chance that medical costs can sweep away your retirement savings. While we all know the benefits of building wealth for the future, why is that most people still find themselves under a deficit after retirement. Many denote it as bad luck, while this isn’t the truth. Undoubtedly, in the game of life luck does play a pivotal role. But many-a-times it is our spending habit and reckless decisions that land us in trouble. If you make smart decisions, luck will automatically follow you. If you make poor decisions, you might get trapped in huge deficits or losses. 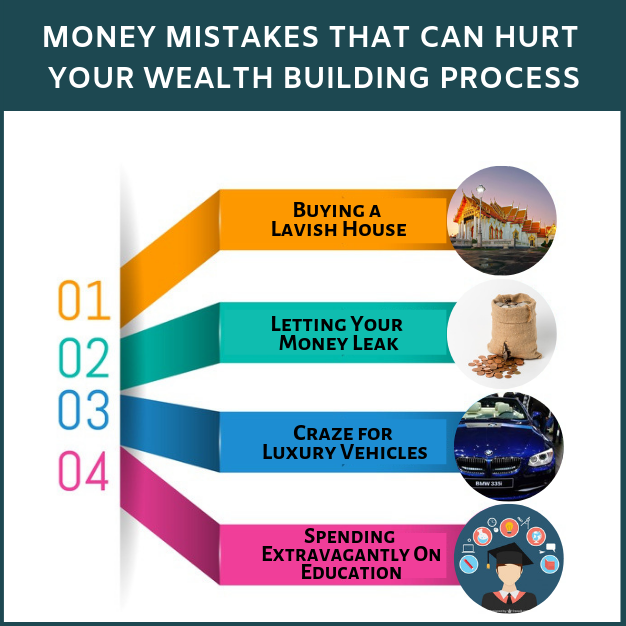 Listed below are the 6 spending habits that could block your wealth building process. This is a costliest financial mistake people tend to commit. While buying a house is a wise decision purchasing an abode that is beyond your capacity is a hapless decision. Previously, you buy a house, live in it for a few decades. But the present generation doesn’t believe in continuing the same job or staying in the same house for years. The more frequently they change their city for job, the quicker they sell their residence. This often means lesser returns and more costs to be borne when buying and selling. Additionally, banks are often willing to give more loan than you can afford at the higher rate of interest. Owning a house means, paying higher interest and creating lesser ownership. Make sure you are buying a home for a peaceful living, and not end up paying a large monthly EMI. By buying a lavish house, you are investing in an illiquid asset and if it is for self-occupation then you will not sell it to meet any of your other goals. Also lavish house means, luxurious neighbourhood. Our neighbourhood plays a vital role in determining our lifestyle expenses. 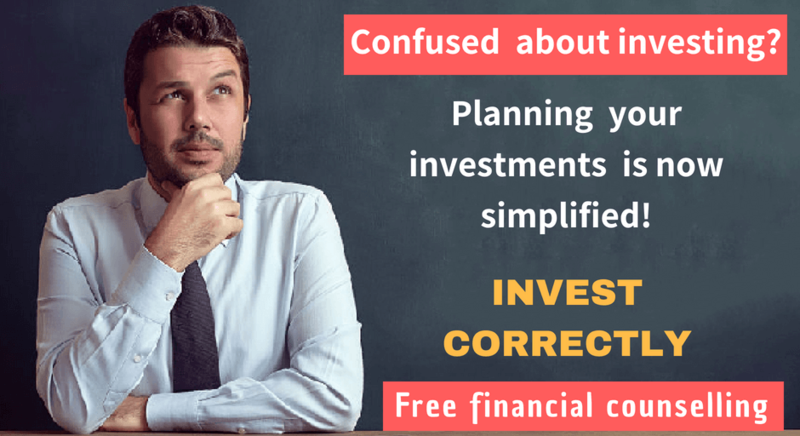 Avoid this financial mistake for a wealthy future. Buy only that what you can afford to. It is a fact that buying anything bigger costs more, but it’s that miscellaneous or little expenses that can deteriorate your financial condition. You need to scrutinize your income and expenses to find the leakage in your budget and save a little extra every month. Many-a-times you buy something, which you don’t really need. For instance, annual fashion magazine subscription that you rarely read, monthly SMS pack recharge though you use Whatsapp (majority people use considering the low price of Smartphone), premium movie channel etc. Each one of these may cost more than Rs.100 individually every month. Don’t you think by cutting these unnecessary expenses you can save a little more for a safe and financially sound future? Think over it! This is the biggest of all! Buying a luxury car and changing the cars frequently. Most people don’t mind spending half of their income in paying the monthly installments of the car of their dream. Owning a vehicle may not be an expensive deal for a few of you, but the miscellaneous expenses associated with it can kill you. First you buy a car, but there isn’t a pause to your expenses here. Apart from the monthly installments, you are left with filling diesel or petrol every month, frequent maintenance and unexpected repair cost, car insurance etc. When you are buying car, you are putting your money in a depreciating asset. So, don’t make such a mistake. Buy a car, which you can afford and use it for 7+ years. An expensive car requires extra care and bigger maintenance and repair cost. Think before you buy! Ask someone at 25, are they saving for their retirement? And see their expression. When we are young we think “I’m too young to even think about retirement, forget about savings.” But that doesn’t mean life will wait or you’ll never retire. It is never too early to plan your retirement. There is something called as compound interest, if you save early, you will earn handsome returns that could be beneficial for your future. There is never a good time to start saving. Stop making excuses and just start! Time is your strength; don’t make it your weakness. While educating someone or educating oneself is a good deed, but wasting your money on a posh college or premium private tuitions is certainly not a wise decision. Though it is necessary to have a degree to get good job, it is definitely not necessary to go to a premium private school to get a superb education. While some college may be better than others, selecting a college because of their name or stylish campus is like buying an Rs.3000 premium branded shirt over Rs.1300 shirt. Even the Rs.1300 shirt will serve your purpose and need, so why waste money on a premium branded shirt of the same quality. Similarly, completing your education from a good decent educational institution is sufficient. Whatever you decide, make sure you think about your present financial condition and then move ahead. Hopefully you won’t commit these mistakes in the near future. Make better financial decisions; however don’t get demoralized if you are going through any of the above situations. Learn from your mistakes and carve a healthy financial life from scratch. 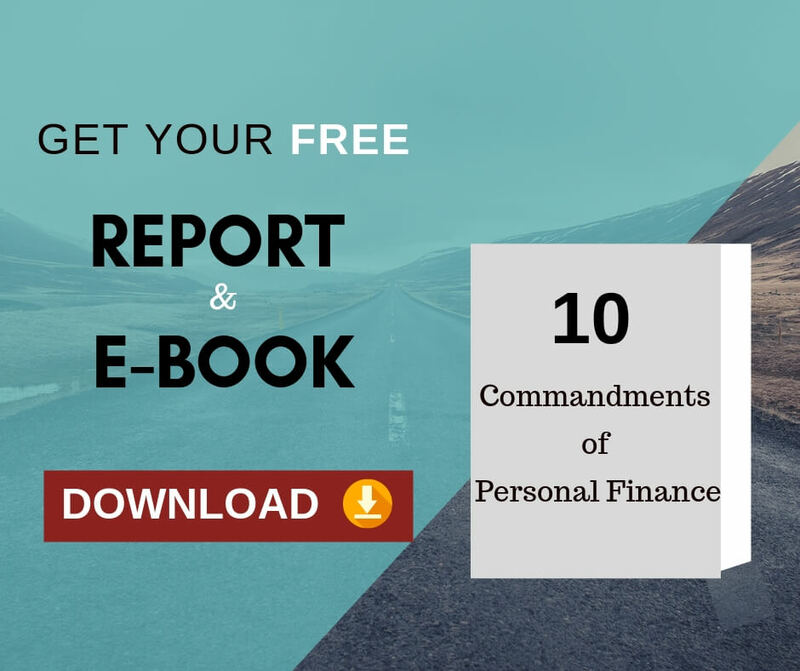 Next Next post: How to Set and Achieve Financial Goals Using A Financial Goal Work-sheet?